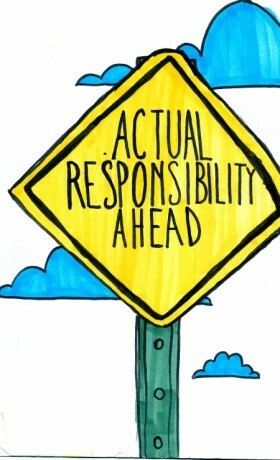 What Does It Mean to Be Responsible as a Public Servant? Kennedy won respect for accepting responsibility; Trump was criticized for seeming to evade it. But what, actually, must a public servant do to be responsible? Navy General Counsel Alberto Mora’s actions in 2002-2003 offer some guidelines. On January 15, 2003, after verifying reports he had received and confronting both Gordon England, Secretary of the Navy, and his own boss, Pentagon General Counsel William Haynes, Mora sent an unsigned, draft memo to Haynes. Mora’s draft, which he said he would sign later that day—making it official and on the record—described the interrogation techniques he had learned as “at a minimum cruel and unusual treatment, and, at worst, torture.” The stronger phrasing referred to the prohibition of such treatment in the Constitution and the Geneva Conventions. Mora’s action did not ultimately stop the torture of detainees, but it did force the Bush administration to justify its actions, behavior for which it would ultimately be held accountable by the public and Congress, especially after the techniques, also used at Abu Ghraib prison, became public. He did his homework, gathering information to investigate and ensure his concern was justified. He held himself accountable for speaking up — for demonstrating the moral courage needed when official action violated the public trust. He used the chain of command to place responsibility where it belonged, among superiors who could stop the illegal action. He was trustworthy. He did not “leak” the information. He acted professionally and appropriately. He demonstrated professional balance. As professor Terry Cooper said in The Responsible Administrator, Mora balanced the imperatives of being within an organization with his obligation to look beyond it. He was conscious not just of what his job demanded but the obligations of his Oath of Office. He was value-driven, with the right priority among competing values. Loyalty was a value for Mora, but it came second to the value he placed on human rights. 5 Responses to What Does It Mean to Be Responsible as a Public Servant? Nice job. I concur with Anna that we need more examples of this type of public service. As usual, spot on, Terry. Simple steps to follow in your seven principles, but they have to be practiced, be recognized, and exemplified. Thanks for continuing to share. Thanks for the example of what honorable public service looks like. Right now we need a lot of these examples to remind us what public service should be. I had a lump in my throat after reading this, especially the quote from Isaiah, which is one of my favorite passages in the Old Testament. Here I am, send me, says it all regarding commitment, accountability and sacrifice. When called, answer. Go, do the right thing; the cause is bigger than the individual. When the individual does the right thing though, it subsequently benefits the whole. That sums up public service for me also. Nice Article Terry. Hopefully more and more leaders accept the responsibility of their office and as a member of the human race.